There are different reasons why joint pain may occur and some of these reasons include an illness, an injury or a traumatic event. Joint pain could occur in different parts of the body including in the hands, fingers, ankles, toes, wrists, feet, shoulders, knees, elbows and hips. Some types of joint pain may occur as a person gets older and examples of such joint pain include different types of arthritis conditions. If you are currently experiencing joint pain, your first instinct may be to seek medical attention and figure out what the underlying cause of the pain is. However, there can also be other alternatives for fighting joint pain such as the use of herbs. The discovery of the benefits of herbs may be traced back to diet and how certain herbs that are richly found in different meals and diets are able to reduce the occurrence of joint pain or improve joint pain conditions dramatically. Could herbs really fight joint pain? There have been research studies that have investigated this question. Various types of herbs possess natural medical components and could be used to treat joint related problems. For instance, herbal medicines have been used for the treatment of rheumatoid arthritis . 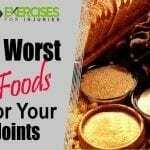 Some of the main characteristics of herbs that help fight joint pain include anti-inflammatory properties, pain reduction capabilities and the ability to reduce swelling. Yes, possibly sitting somewhere in your kitchen is a bag or container of parsley. Pretty to the eye, this luscious herb is usually used as a garnish or its green flakes can brighten many meals. This herb, with its Mediterranean origins, has been in use for quite a long time and can be traced back to ancient dishes. It is an easy way to freshen up many recipes. However, there is more to parsley than its aesthetic contributions! A popular addition in many dishes, parsley provides richness in vitamins. With the ability to soften stiff muscles and provide relief to inflammatory conditions, parsley is your friend when trying to combat arthritis and other types of joint pain. 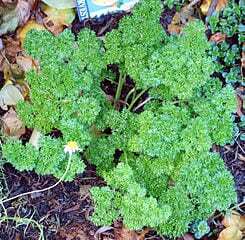 To gain substantial effects from parsley, you do need to use it regularly. However, moderation in consumption can be a much safer way to proceed. Enjoy parsley tea by combining fresh or dried parsley leaves with lemon and hot water. Using and consuming parsley in dishes or tea can help release the essential oils contained in this herb. If you are accustomed to using other types of herbs like cilantro in cooking, you could easily substitute such herbs with parsley or use parsley in addition to other herbs. Sticking to quantities of parsley that are typically added to meals or used in teas should have no adverse side effects. This warning regarding parsley also applies to the use of parsley in drinks such as smoothies. Doses of parsley may be based on several factors including a person’s health conditions and age . Using moderate amounts of parsley is advisable and could be an effective way for fighting joint pain. This plant may not have a particularly inviting name but it is truly useful in treating certain ailments. 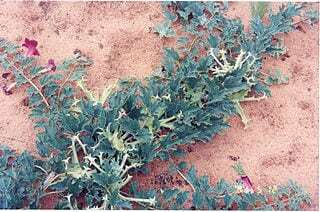 To depict how powerful Devil’s Claw is, the plant is sometimes substituted with cortisone medications for the treatment and management of persistent joint pain. With origins that can be traced to Southern African regions, Namibia and possibly the Kalahari Desert, Devil’s Claw is also referred to as wood spider or grapple plant and has the distinctive shape of a claw. With characteristics that reduce inflammation, the Devil’s Claw herb can be used to create an anti-inflammatory elixir to fight joint pain. The root of the Devil’s Claw plant is actually the source of the chemical properties that fight joint pain. Popular for easing pain caused by rheumatoid arthritis and osteoarthritis, this plant is known for its use in providing joint therapy, maintenance and care. Consulting a healthcare practitioner to discuss usage of Devil’s Claw, especially in conjunction with treatment for similar or other conditions would be beneficial as well. You could combine Devil’s Claw, for instance in teas, with other potent herbs and spices with medicinal properties including turmeric and ginger. 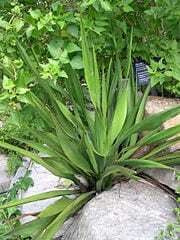 Increasing the well-being of joints through inflammation reduction is a consequence of using the yucca plant. This plant with its somewhat peculiar name is gaining ground as an effective way to relieve discomfort from different types of arthritis conditions, including the possible prevention of osteoarthritis and rheumatoid arthritis. Its production of anti-inflammatory compounds is quite natural, making its use in the reduction of joint area swelling a perfect match. The root of the yucca plant is also very rich in vitamins including Vitamins A, C and B-complex. There have been studies that show yucca as being effective in providing relief and remissions to arthritis patients and research points to a direct link between the yucca medicinal plant and the treatment and prevention of arthritis . There are also possibilities of yucca inhibiting intestinal bacteria and promoting healthy digestive functions. A natural pain reliever, this herb contains anti-inflammatory properties that target joint pain and soft tissue problems. Popular for use as a spice as a result of its distinctive colour, flavor and taste, turmeric contains an active ingredient known as curcumin which is the base of these anti-inflammatory properties. By adding turmeric to dishes while cooking, you could reap the natural benefits of this herb. Turmeric has also been described as an anti-septic with the ability to kill parasites. A positive trait of turmeric is the unlikelihood that it produces toxic situations within the body. Curcumin does not produce any toxicity . In addition to fighting pains, turmeric’s anti-inflammatory properties could provide effects that are similar to some medically prescribed non-steroidal anti-inflammatory drugs, which are also referred to as NSAIDs. You could fight joint pain, strains, bruises and sprains with this herb and having it handy in your kitchen may just prompt you to add it to your meals. Besides the treatment and management of joint pain, turmeric usage has also been connected to the treatment of other diseases including cancer and eye problems. Horsetail is rich in silicates and other compounds. This is another herb that is purported to address the prevention of osteoarthritis and rheumatoid arthritis. Described as a giant fern, this plant excels at repairing connective tissue around bones and has been used to tackle issues related to bone loss. 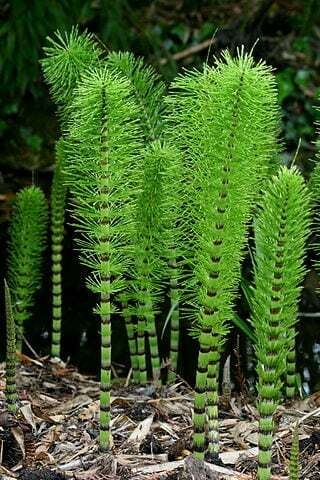 It should be noted that there are different varieties and species of the horsetail plant. Horsetail’s ability to prevent bone related problems is connected to its high silicate content. Horsetail species like the equisetum palustre which is also called the marsh horsetail can have high toxic contents and should be avoided . However, the safer horsetail varieties can have healing properties for treating bruises. The ginger plant can be used to fight inflammatory conditions like arthritis. Great for joint pain and swelling, ginger provides a stimulating flavour and can be an excellent ingredient in different types of teas. Apart from arthritis, ginger roots could be used to treat general muscle pain, nose congestion and colds. 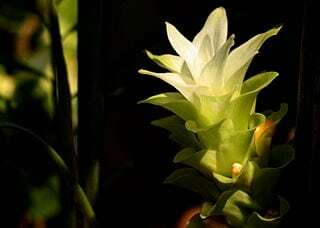 Connective tissue support may also be aided by the ginger plant. Using the ginger root in its fresh or dried form is acceptable as both versions would still contain active anti-inflammatory properties. 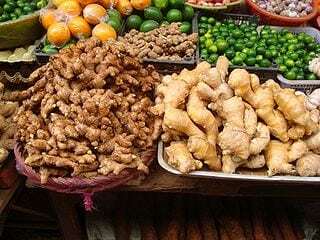 Apart from usage in teas, ginger can be included as an ingredient in dishes and smoothie drinks. Hence, it is easy to begin or continue using this herb. It is good to know that ginger does more than make food taste good. 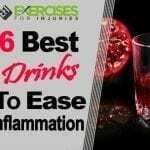 It can provide significant medical and healthy living benefits. Studies have shown that the consumption of ginger can indeed minimize osteoarthritis and other types of arthritis . As with many other different types of herbs, there could be interactions with medications. Hence, it is important to be aware of such possibilities. Whether you are dealing with hinge joints at the knees, ball and socket joints at the hips or gliding joints at the wrists, joint pain can be persistent, worrisome and difficult to live with. 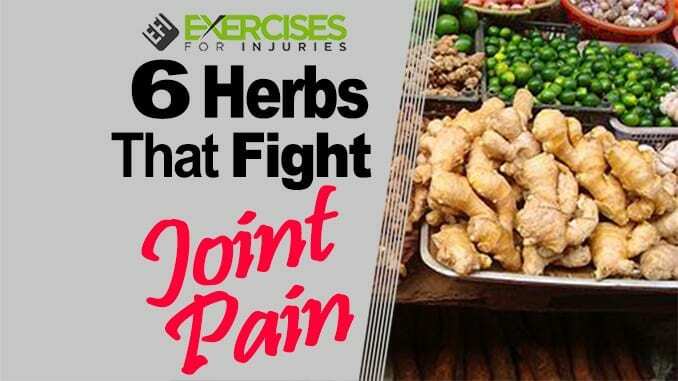 Fight joint pain with herbs which have natural medicinal properties that target inflammation, pain and swelling in ligaments, muscles and tendons. With knowledge of the power of herbs, soft tissue distress could be helped and potentially relieved. Joint problems like arthritis, frozen shoulders, bursitis, tendonitis, carpal tunnel syndrome, rotator cuff injuries and many other joint-related problems could be tackled. 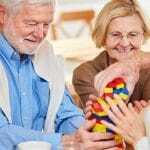 Still, the care of a primary care physician, rheumatologist, orthopedist, physical therapist or other healthcare expert, as appropriate, should not be underestimated. You could take back the power that joint pain is draining from your life by exploring the benefits of herbs and the ability of these herbs to fight joint pain. 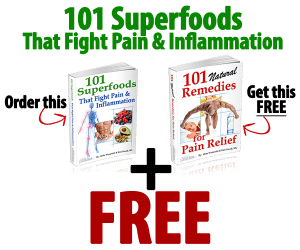 Knowledge is often described as being ‘power.’ Let your knowledge of herbal remedies for joint pain enable you to explore a more powerful version of yourself! My Run-in With the Paparazzi….